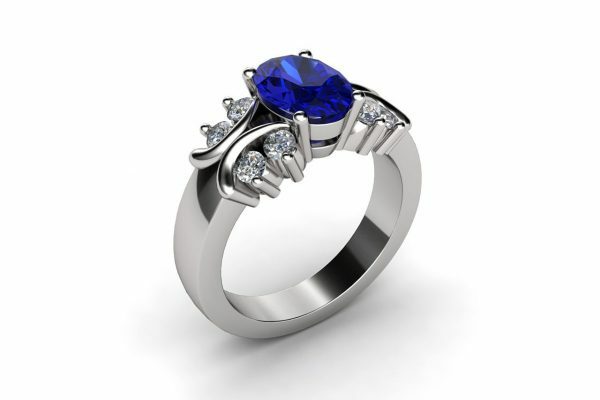 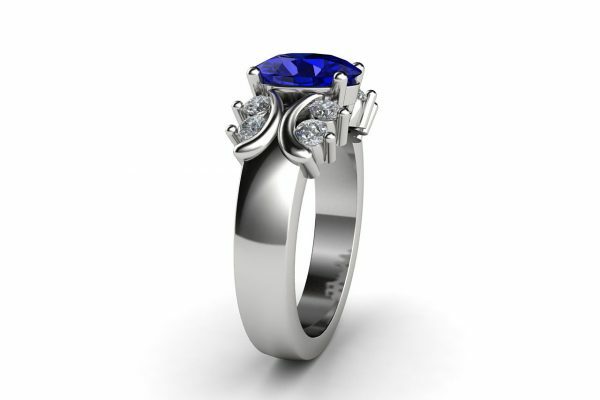 A gorgeous sapphire engagement ring. 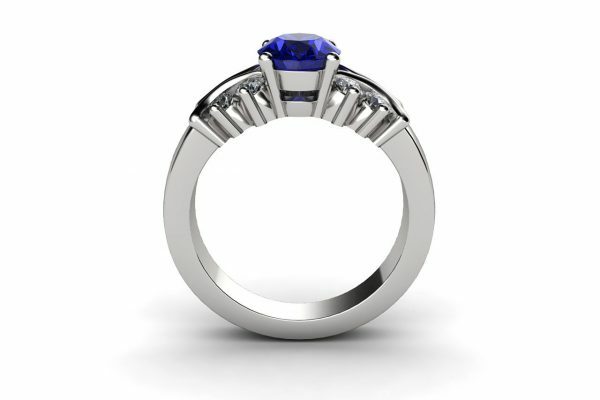 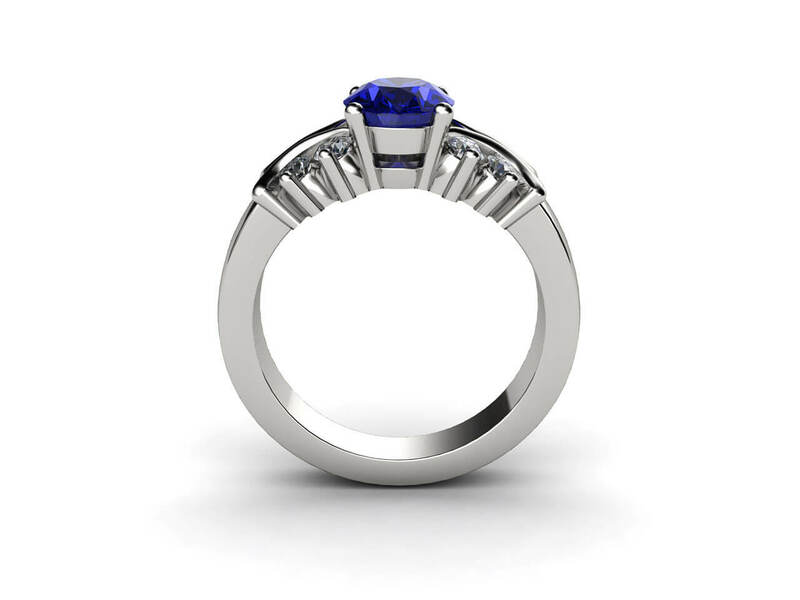 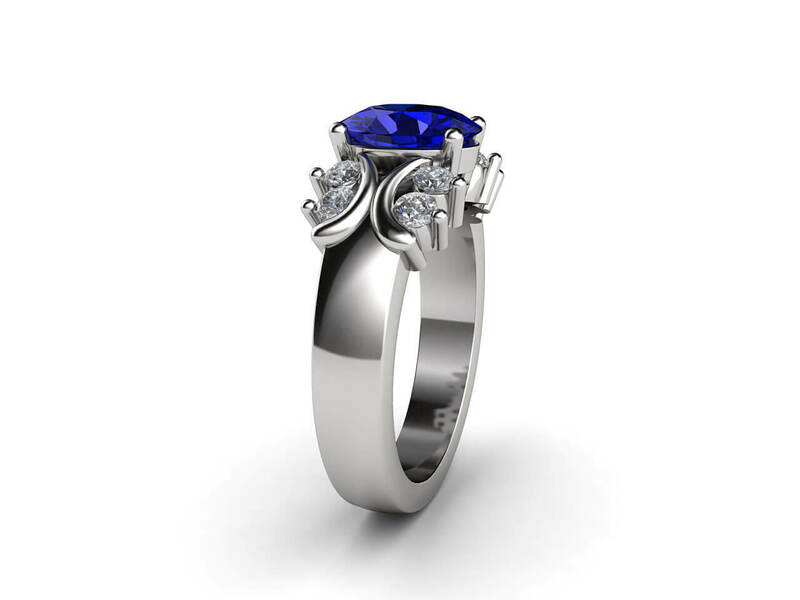 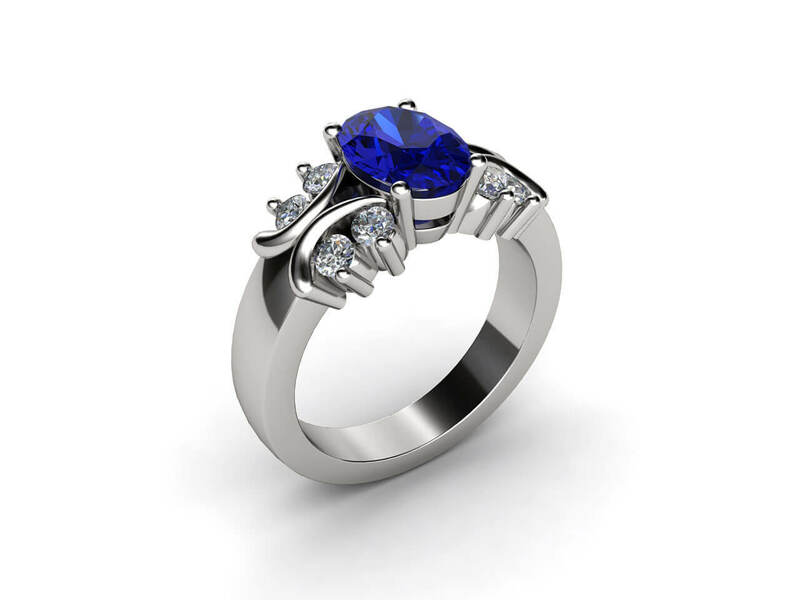 Round diamonds and white gold detailing sit either side of a central oval sapphire. 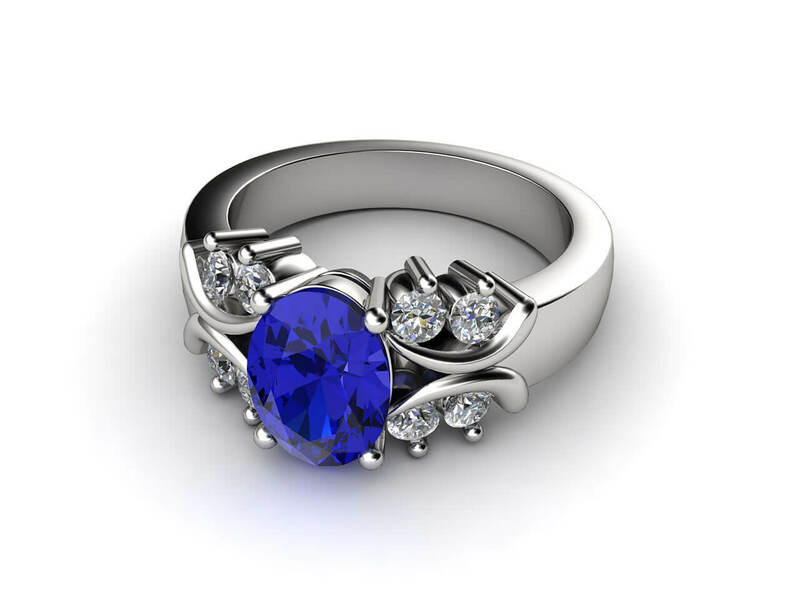 The white gold band and unique elements make the fantastic blue stand-out. This expertly crafted ring is glamorous and majestic. 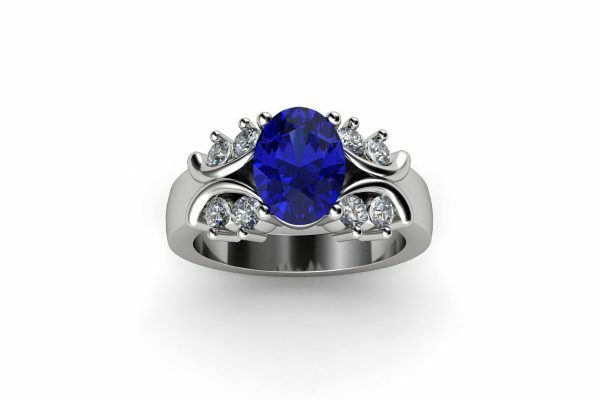 It can also be made with any other coloured gemstone.